For most people, GE conjures up pictures of appliances — fridges, stoves, laundry machines and more. However, GE is also a significant player in lighting. In Canada, GE has mostly offered regular lightbulbs, but now it’s bringing its ‘C’ line of smart lights north of the border. 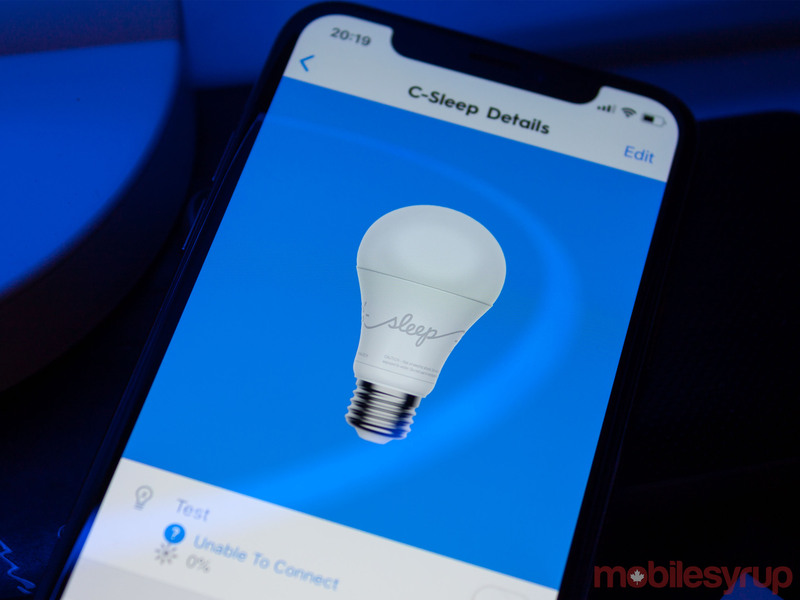 While C by GE offers several different bulbs in the U.S., Canadians will start off with just two — the C-Life and C-Sleep bulbs — which will form the core of any smart lighting installation you have in your home. 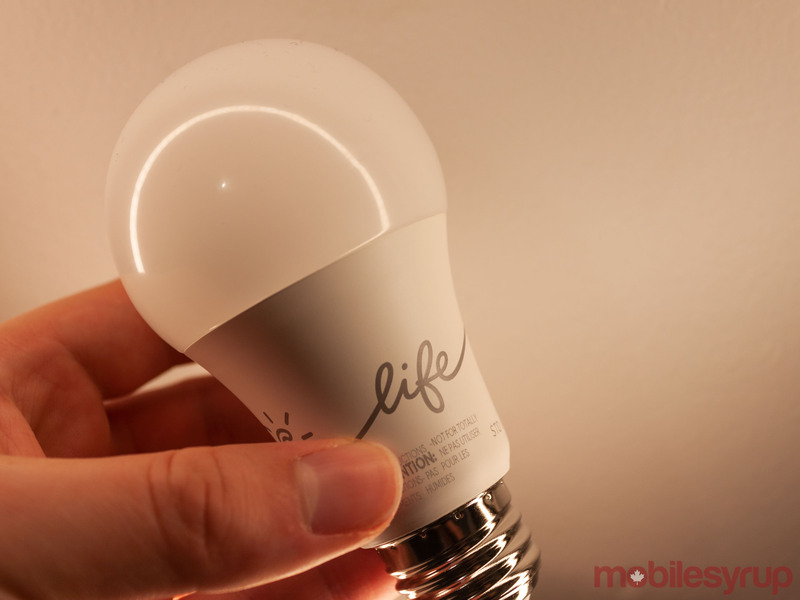 First up, GE’s C-Life bulb is an intelligent take on your basic LED A-line bulb. 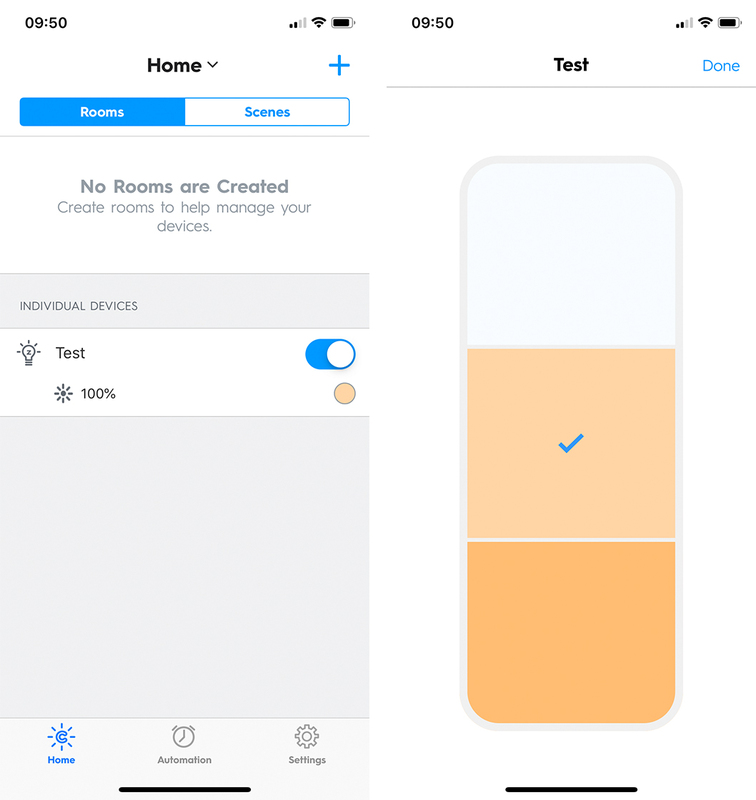 Using the C by GE app, you can schedule your lights to come on at select times, dim them and more. 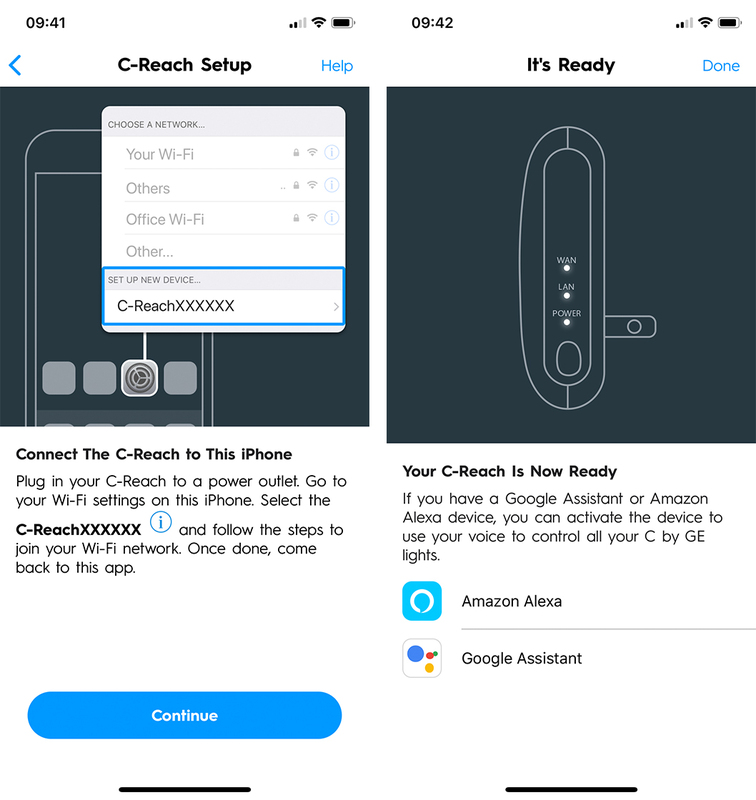 If you get the C-Reach hub — a small white box that looks like a flattened AirPods case — you can also control the C-Life bulb with Google Assistant or Amazon Alexa. C-Reach unlocks control of the lights from outside your home as well. There’s also a version of the C-Life bulb in the BR30 recessed can bulb shape if the A-line style doesn’t fit your fixture. Unfortunately, C-Life only offers on, off and dimming options. The bulb’s colour temperature measures in at 2,700 Kelvin at 760 lumens brightness. If you want a little more control over your lights, you’ll want the C-Sleep variant. Lighting has a drastic impact on our brains, one that many people aren’t aware of. You’ve likely noticed your phone’s Night Shift or Night Light settings, which dim the screen and apply an orange tint to the screen. Apple and Google designed these features to help reduce ‘blue light’ exposure at night to help users sleep better. Blue light has a shorter wavelength than other colours on the spectrum of visible light. Because of its shorter wavelength, it’s a high-energy light that can stimulate the brain and perk you up. You can also measure a light’s blueness using its temperature in Kelvin. If you think about human history, we were around for a long time before we created artificial lights. That means humans typically followed the patterns of the sun — get up when the sun comes up, go to sleep when it sets. As such, our brains follow that cycle, perking up with high-energy light in the morning and preparing to sleep when the light fades to low-energy, yellower hues at night. 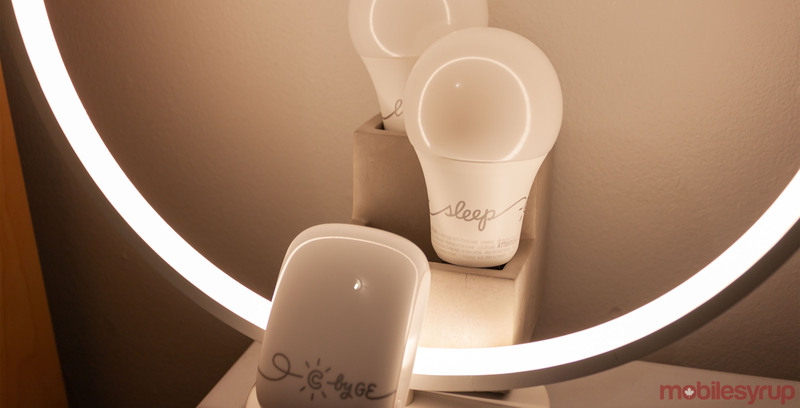 GE’s C-Sleep light follows a similar principle, offering three stages of white light that correspond to the light cycles of the sun. The ‘Vibrant’ setting is a bluer light for the morning to help perk you up and get you out of bed. ‘Active’ works well for the afternoon — its yellower than vibrant, but still quite bright. Finally, you should switch to ‘Calm’ in the evening. The warmer orange colour of the light should help your brain prepare to go to sleep. On top of this, users can control the C-Sleep light in all the same ways as C-Life — with voice and the app. Along with on, off and dimming options, you can also change the colour temperature with a word. It’s worth noting that, at the time of writing, controlling the colour temperature with voice was a tad buggy. When I asked Google Assistant to change the temperature of the C-Sleep bulb I was testing, it always replied that there was an error with the bulb. However, it still changed the bulb’s temperature most of the time. GE told me this may be because the voice controls aren’t fully live in Canada yet. Aside from the small hiccup with controlling the temperature of the C-Sleep, GE’s smart lights worked incredibly well. I had no issues setting up the bulbs or managing them. The set-up process worked similarly to other bulbs I’ve used. Simply screw the bulb into a socket, turn it on and then open the app. Tap the add button and then follow the instructions. Once you connect your phone to it, head back to the C by GE app to add your Wi-Fi credentials. To finish off, the app gives you instructions on how to sync the light with Google Home or Amazon Alexa for voice control. Once that app is set up, controlling the lights works like almost every other smart light. I use LIFX bulbs in my home, so that’s what my point of reference was. I found that C by GE was lacking nothing in comparison, except colour options — although, GE says colour bulbs will come next. 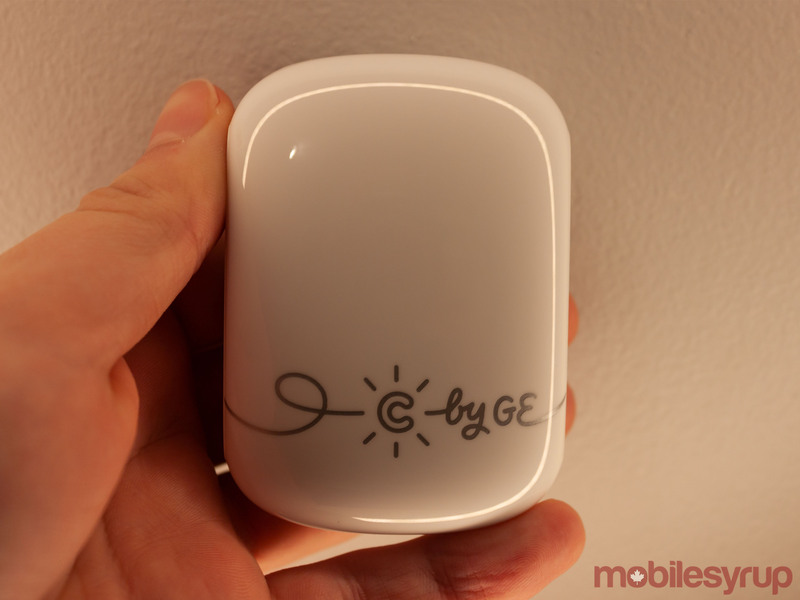 To start, C by GE lights will retail on Amazon.ca before coming to retail locations. The C-Life, C-Sleep and C-Reach bridge will be available starting in May. GE pushed the launch back to add some improvements to its app to ensure Canadians get the best possible experience. C-Life bulbs have an MSRP of $17.99 CAD for both A-line and BR30 bulbs, while C-Sleep will cost $29.99 for A-line and $34.99 for the BR30. There will also be starter kits with either a C-Life or C-Sleep bulb and a C-Reach hub for $89.99 and $99.99 respectively. LIFX’s Mini White E26 bulb, which is comparable to GE’s C-Sleep, offering various white temperatures, retails for $24.99, and the Philips Hue A19 White bulb retails for $19.99. That puts GE’s lights on the more expensive end. That said, C by GE offers excellent, high-quality bulbs that are bright and offer a variety of white options. I highly recommend them, especially the C-Life bulb where you need more basic lighting, like a hallway or laundry room. When it comes to more complex lighting, with different white temperatures and colours, it may be best to compare with other smart lighting products and get what works best for your budget and lighting needs. Update 04/08/2019: Added information about a delay in the launch of the C by GE bulbs. 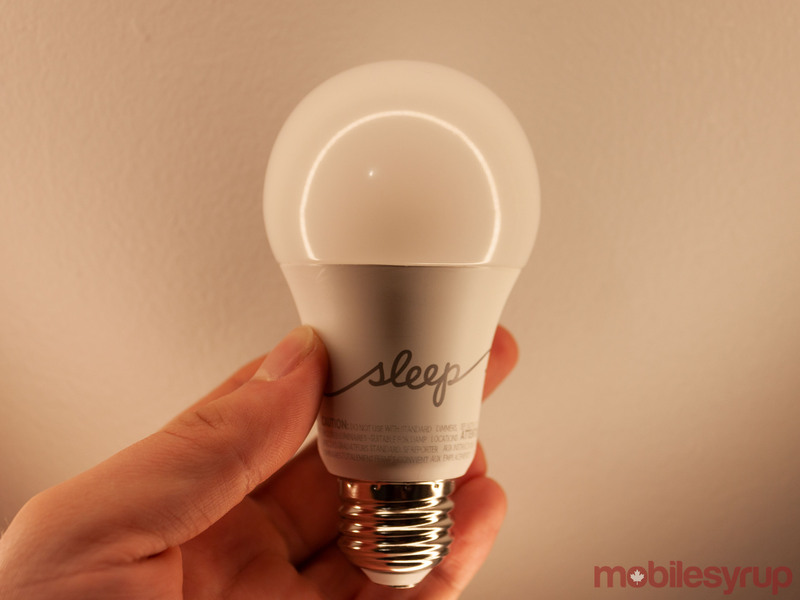 The bulbs were initially supposed to launch in April, but will come out in May to give GE more time to improve its app.